On this week’s episode, I have part 2 of my interview with UK artistic roller skating performer, coach and community organizer, Dave Nicholls. In this episode, Dave and I talk about the Ipswich Skate Club that he started. Now with 100s of members, Dave and his team help give less fortunate children an opportunity to learn how to skate. Then, those same children as they get older are transformed into competitive roller skaters and coaches to help the next batch of children who join the Club. The history of the Ipswich Skating Club. 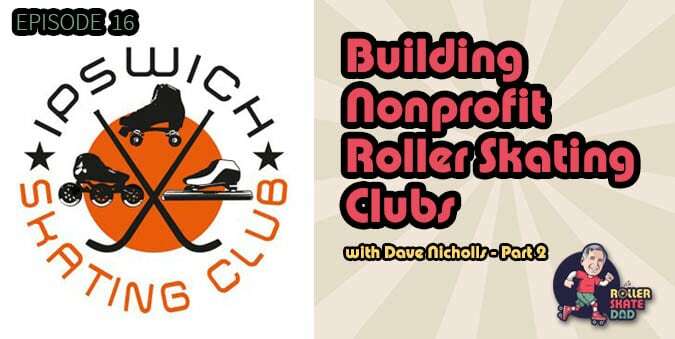 How Dave and his team are giving the youth he serves a path to walk to go from beginner skater to competitive roller skater to roller skating coach. How he worked with his local government to start the club and get funding. And some tips and advice for those of you out there who may want to try the exact same thing. Here are links to the items Dave and I discussed during the show. Ipswich Skating Club – The skating club Dave coaches at and founded. UK Sport – Dave mentions UK Sport a few times during the episode as a good place to go for more information about the programs offered. Sport England – Club development tools for building successful sports clubs.